Spring is HERE! Introducing Ringke Slim [Spring Cherry Blossom Edition] Case! Leave a Comment on Spring is HERE! Introducing Ringke Slim [Spring Cherry Blossom Edition] Case! Celebrate the spotlight season with sakura inspired and touch PC case to showcase your device in a colorful display of well loved cherry blossom petals! All-time traditional symbol of spring joins modern, durable protection in improved surface shield including sleek reinforced coverage in a natural slim grip to retain all the original shape with durable drop and surface protection. Surround yourself in beautiful pink hued falling sakura petals in this limited edition design as one of the highly anticipated styles in Spring with an array of protective cases for Samsung S9 / S9 Plus! 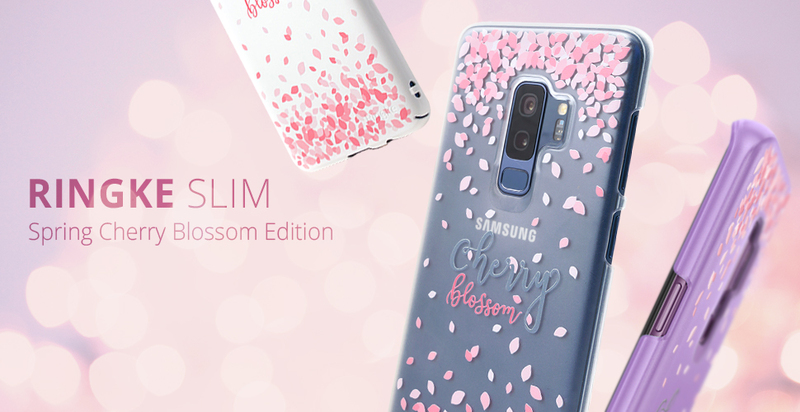 Ringke Slim [Spring Cherry Blossom Edition] case is available in Apple iPhone X, Samsung Galaxy Note 8 and Galaxy S9 / S9 Plus.